What’s something you’d like to share about your company? 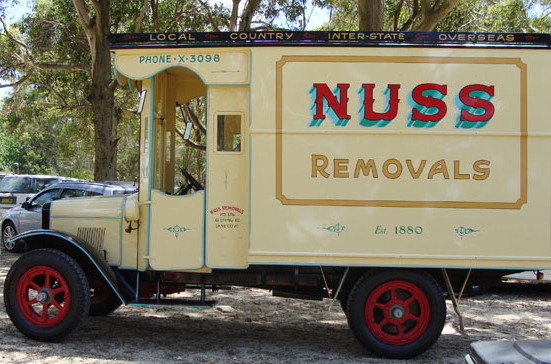 Nuss is an Australian privately owned fourth generation removal and relocation company. We have offices and warehouse facilities in Melbourne and Sydney and world class partners globally. Our Removals division provides both international and domestic door to door removals and our Relocation Services division provides Home search, School search, City familiarisation, Settling-in services and much more. Personally for 15 years which is not unusual for Nuss. We have a great staff retention rate. How many international moves a year does your company do? Nuss moves “thousands” of families each worldwide. Most quality orientated international moving companies are members of FIDI, the international moving community regulatory board. The FIDI Accredited International Mover (FAIM) Quality Management Program is the most rigorous and the only quality certification program dedicated exclusively to the international moving industry. Nuss is of course a FIDI accredited mover. Many Nuss employees have previously lived overseas and so have the benefit of real life relocation experience. This is an unbeatable benefit in that it creates a great empathy between us and our clients. We know the problems but we also have the solutions. International moving is a fast paced and constantly changing industry offering new challenges every day. No two moves are the same. It comprises like-minded experts from every country in the world who work together to deliver door to door moving service programs to people that make the world go round. We are a global community; one minute we are speaking with someone in Rio, the next minute to someone in Tokyo. How exciting is that! We hear stories from time to time of people attempting to move themselves which can often ends in tears. An international move is complex. Local Customs regulations, ever increasing security arrangements and, just recently, the introduction of new maritime weight declaration laws make such an undertaking almost impossible to manage without expert assistance. Plan way ahead of time; start getting your moving quotes a couple of months before your departure date. This is particularly important if you intend moving in the summer months as this is peak season for most movers. Have a real good de-clutter (why pay to ship things you really don’t need). This tends to change each year as moving seems to be in trends depending on global talent supply and demand requirements but Asia, North America and Europe are consistently our top destinations. Thinking about moving to Australia? Check out our Sydney and Melbourne City Guides to help you find your perfect neighborhood. And don’t forget to follow us on Facebook and Twitter to get all the latest news.